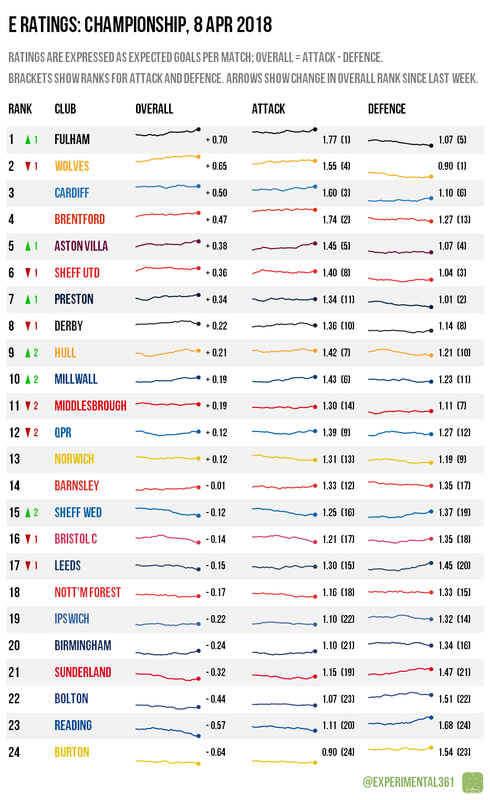 A surely controversial call from the model is that it now ranks Fulham slightly more favourably than Wolves overall. The Cottagers’ dominant win at Sheffield Wednesday coupled with a flat Wolves performance at Cardiff was enough to see them switch places at the top of the rankings. Bristol City continue to drop after another poor attacking performance, while Leeds‘ defence has also been looking increasingly suspect in the second half of this season. Wolves‘ win makes them pretty much certain to go up, and presents Fulham with the opportunity to overtake Cardiff and claim second place. Middlesbrough are best-placed to complete the play-off line-up but shouldn’t rule out a challenge from Millwall. 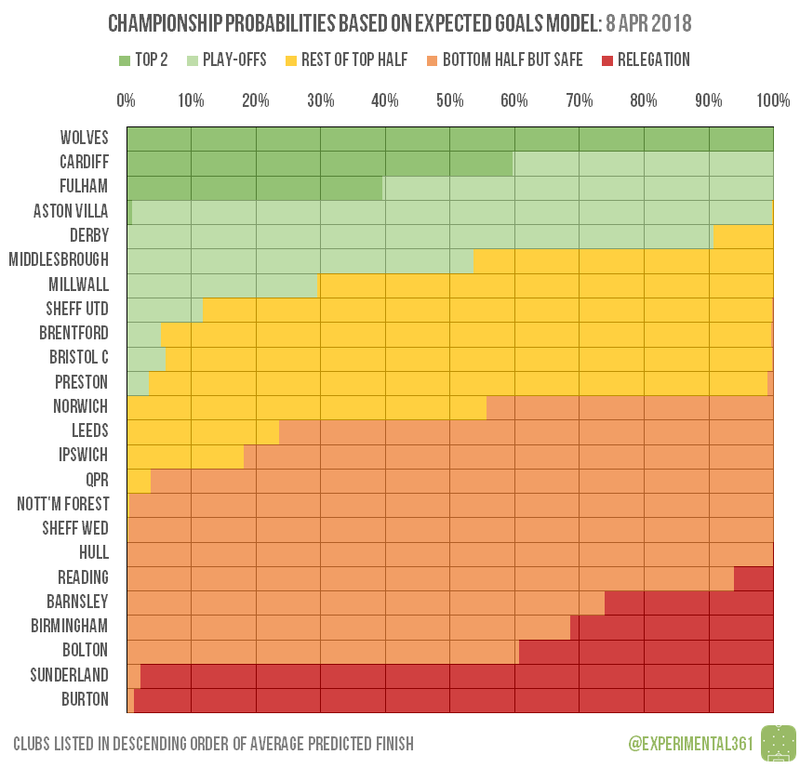 There was a further twist in the relegation battle as Barnsley grabbed a win, leaving Bolton looking marginally more likely to complete the final bottom three and Birmingham – who dominated Burton but could only draw – not out of the woods yet.